The Southern California Golf Association’s Junior Foundation, which engages local youth in the lifelong benefits of golf, announced today that it had received $250,000 from The Los Angeles Country Club (LACC), one of the largest one-time donations in the history of SCGA and the largest gift from a member club. 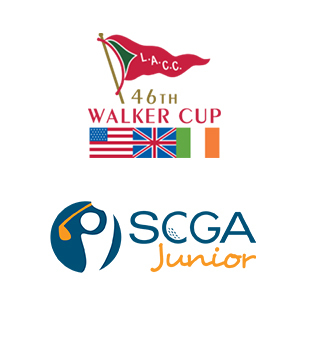 Funds for this donation were generated by LACC’s hosting of The Walker Cup Match, a biennial amateur team competition contested by The R&A and USGA at which a U.S. team featuring three SCGA members defeated Great Britain and Ireland 19-7. This year’s Walker Cup team featured three active SCGA members: Norman Xiong, an avid SCGA Junior participant, along with Collin Morikawa and LACC member Stewart Hagestad. Gigax said funds from LACC's history-making gift will be used as a three-year investment to improve and expand junior golf instruction and decision-making curriculum. Specifically, the donation will be used to provide instructors, golf equipment, access and uniforms for youth development training programs.